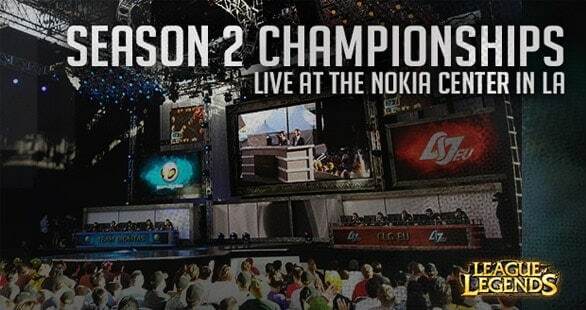 If you are unaware, the League of Legends Season 2 World Finals is going on this week. Teams from across the globe are competing to win part of a $2,000,000 prize pool. Last month was The International, the Dota 2 tournament with a similar prize. You’d have to think, with so much money being handed out in these tournaments, that there is a lot of money being made on the tournaments, which means there is a ton of people watching these tournaments. I tuned in for a match yesterday and there were about 200,000 people watching the live stream on TwitchTV. 200,000! An astonishing number of people sitting at their computers, forgoing playing the game themselves, to watch these professionals play. So do you watch eSports tournaments? Which ones have you watched? Is it more enjoyable than watching your favorite TV show or sports game?